This year, McMaster University Library is celebrating the 50th anniversary of the acquisition of the archives of renowned peace activist, philosopher and Nobel laureate Bertrand Russell, widely considered one of the great intellectuals of the 20th Century. In 1968, McMaster announced that it had acquired the archives of renowned philosopher, peace activist and Nobel laureate, Bertrand Russell. Russell was considered one of the greatest thinkers and best-known public intellectuals of the 20th century – a global household name. A number of universities were keenly interested in purchasing his papers. Knowing that time was of the essence, William Ready, McMaster’s chief librarian, moved swiftly to secure the funds needed, succeeding, in part, thanks to a gift from McMaster alumnus and financier, Cyrus Eaton. When McMaster’s acquisition of the collection was announced, it sent ripples throughout the academic world and made international headlines. “When the Russell papers arrived at McMaster, there was a tremendous amount of media interest,” recalls Ken Blackwell, adjunct professor and honourary Russell archivist, who has worked with the collection since 1966. 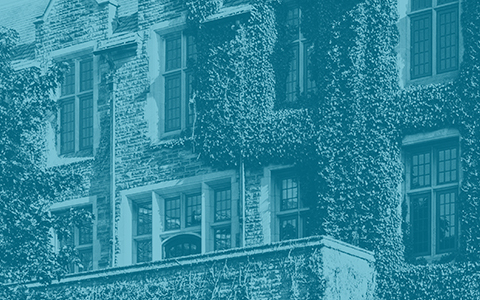 This year, McMaster University Library is celebrating the 50th anniversary of the acquisition of the Bertrand Russell Archives, which remains the University’s largest research collection, and continues to be used by scholars from around the world. Bertrand Russell (1872-1970), the grandson of British Prime Minister, Lord John Russell, was a brilliant mathematician and logician. He devoted much of his early career to philosophy, becoming the most important founder of analytic philosophy, the dominant philosophical tradition in the English-speaking world in the 20th century. 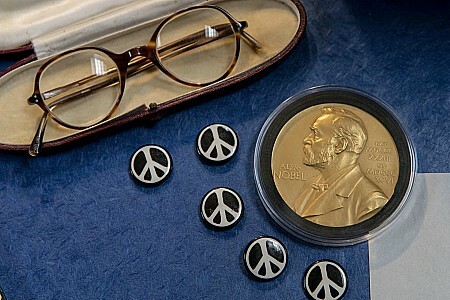 Items from the Russell Archives including his glasses, his Nobel medal, and buttons of the iconic peace sign – the symbol created for the Campaign for Nuclear Disarmament in which Russell was a central figure. But it was his advocacy for peace and social reform that catapulted him to global fame. It began with his opposition to the First World War, during which he was imprisoned for his activism. In 1950, he was awarded the Nobel Prize in Literature for his prolific writings championing human rights and freedom of thought. He was also an central figure in the Campaign for Nuclear Disarmament. “Russell saw the Cold War and the threat of nuclear weapons as a seismic change,” explains Myron Groover, archivist and rare books librarian in the William Ready Division of Archives and Research Collections, where the Bertrand Russell Archives are housed. Throughout the 1950s and 60s, Russell corresponded with dozens of heads of state – including those from Soviet bloc countries and communist China – and with celebrities like John Lennon and Yoko Ono, and Muhammad Ali. He even exchanged letters with Alan “Tommy” Lascelles, private secretary to Queen Elizabeth II. 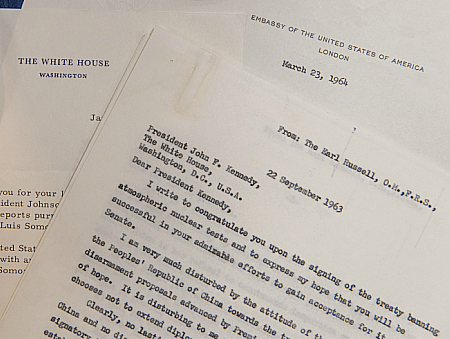 This letter written by Russell to U.S. President John Kennedy is one of thousands of pieces of correspondence in the collection. These letters can be found in the Russell archives, along with hundreds of manuscripts, and thousands more letters – both published and unpublished. 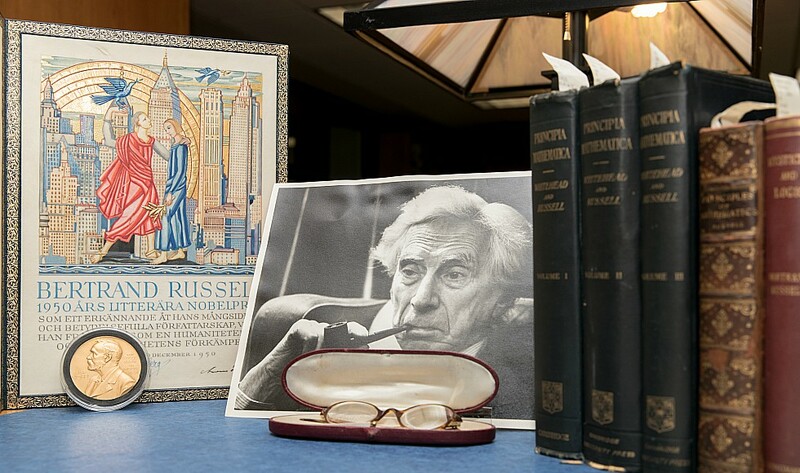 The collection also includes Russell’s personal library of more than 3000 books, hundreds of photographs, his writing desk, audio tapes, films and his Nobel medal. The collection, by far the largest on Russell in the world, has inspired a wealth of scholarly activity in a number of areas including peace and religious studies, philosophy, history, political science, literature and even mathematics. Throughout 2018, the Library will be marking the 50th anniversary of the acquisition of the archives in a number of ways including an exhibit of items from the Russell collection at the McMaster Museum of Art, and through a special edition of the Hamilton Arts and Letters magazine, edited by McMaster archivist Rick Stapleton. The Library will also celebrate the opening of the new home of the Bertrand Russell Archives and Bertrand Russell Research Centre. The newly renovated space, located at 88 Forsythe Ave. N., is scheduled to open this spring. Fourteen researchers from across campus each took 180 seconds to explain their research on aging. It’s all part of a student-driven initiative to bring together early-career researchers with a wide range of expertise and experiences.